Step out of the shower feeling less tired and cleaner than ever before. This shower gel with grapefruit and energizing guarana brings you the ultimate freshness along with the energy boost you need to get going in the morning. Recipe for men's dermatologically proven cleansing formula with soothing aloe vera washes skin thoroughly and leaves it feeling soft and comfortable, never tight or dry. Highly recommend this product. Having tried and tested many other top brands, none has come as close as this to hitting all the required needs- lathers well (even in hard water), clean and fresh scent, good cleansing properties while leaving the skin sufficiently moisturised. Has a lovely citrusy scent. Best shower gel I've ever used. 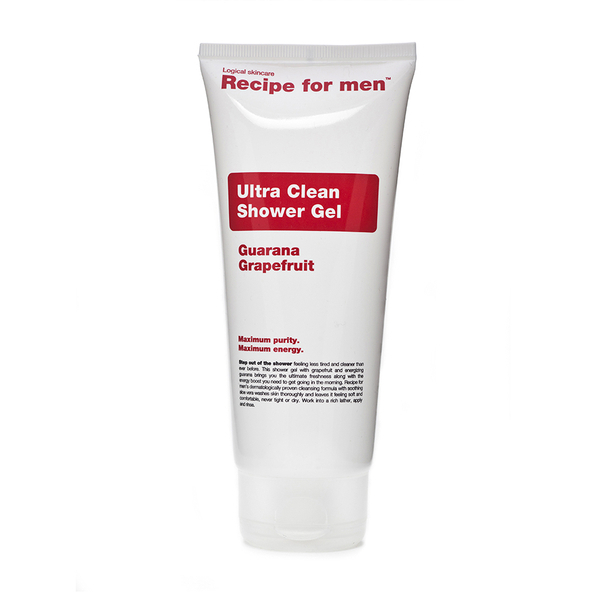 Particularly good for active men like myself looking for a clean, unfussy effective shower gel that lasts. Great shower gel, makes you feel refreshed after a shower. Smells great too. Everything is fine, but should be used to wash more than any other treatment.